Here is my personal rating of the top ten F1 drivers of the 2015 season, taking into account their performances as well as the machinery that they had access to. Even in this most complex of games explanations can be disarmingly simple. Last season in a campaign that Mercedes had to itself Lewis Hamilton was taken to the wire for the title by his Merc team mate Nico Rosberg, in large part because for much of the season Lewis had the lion's share of the misfortune plus was oddly out of nick in qualifying. 2015 was, when it mattered at least, 2014 without those things. And boy did Lewis take advantage. Ten victories in a season is hard to argue with, so is that anything up to seven of them were in nearly no doubt after just a few corners and indeed were reduced to Clark-like demonstrations. His ability to get tiny, yet massive, time on his team mate almost corner by corner was the difference. While in his less celebrated attributes his brain power and rationing of the finite resources of a modern day F1 machine were hard to fault. Yes he had the best car and a team mate whose performances varied, but in F1 as in anything there is always much to be said for Getting The Job Done. And Lewis did that, wrapping up his third title with a win and three races ahead of time; you could even make a coherent case that this outcome looked in little doubt from his first few imperious laps in Melbourne's curtain-raiser race. Lewis self-admittedly undertook "a small tweak" in his qualifying approach and the outcome was devastating with him taking 11 poles in the first 12 rounds. Some of his qualifying laps were stunning; a couple of poles were won against the odds too. It all ensured that his races were much more straightforward than those in the previous campaign. But the man himself noted the difference with last year also owed something to the assurance of having that 2014 championship to his name - not for nothing did Lewis state that his second title won then actually felt a lot like his first, given it was his first subsequent to fleeing the nest from McLaren. Ironically it was after his title was assured that the most conspicuous doubts crept in. First of all Rosberg was already establishing a run of pole positions on him, then started to finish races ahead of him too. Did Lewis relent, even by degrees, after the championship was won? Or had Nico finally found something that Lewis couldn't match? 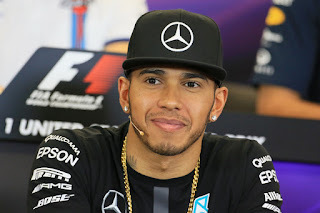 Lewis spoke of a technical change to the car from Singapore, roughly when matters switched. He remains firm favourite for the 2016 title, but in the late weeks of 2015 that status softened ever so slightly. So last year was a blip then. And more to the point, Sebastian Vettel is all that after all. Not that really it should have been too much of a surprise. We know about the success from his time at Red Bull, which both in its extent and the age at which it was achieved reads more like fantasy than sane motorsport record. We also with this know the hit parade of his doubters however: it was done with a series of fine cars they say; at a team in which he was cosily ensconced and had priority service guaranteed; that the (very good) blown floors suited him peculiarly. The doubters were emboldened by his 2014 struggle too. But the more discerning observers knew that his run of scarcely-credible stats there wasn't all about those those matters mentioned; that Seb was making a contribution all of his own. His stunning pace and confidence enacted consistently and immediately as if flicking a switch; his extraordinary mental capacity; his holistic and industrious approach. But the persistence of those doubts ensured too that he'd only get his full appreciation upon leaving the Milton Keynes squad. And so it proved. This debut season in red underlined in thick lines what Seb is about . Indeed we might even have seen him improved even further in 2015. Almost never was the Ferrari a match for the Mercedes but Vettel virtually every time could be counted upon to give as little away as possible and maximise the result. 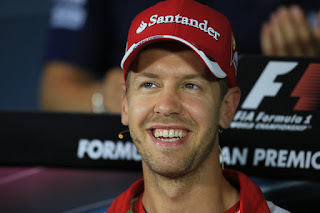 And in the two races the Ferrari was on top, in Malaysia and Singapore, Seb drove the ball into the net with aplomb. Just like he did in Hungary on a day when it seemed he alone had his head screwed on. His fleeing the Red Bull nest seemed to add stacks of maturity overnight, and throughout this year Seb out of the car just like in it was one of the paddock's most assured and authoritative figures. He even managed to slip right in and right away at the Scuderia; his calmness, ready smile and willingness to knuckle down were appreciated quickly there. His error-strewn races in Bahrain and Mexico were curious aberrations, as was flooring it to pass Roberto Merhi under red flags in a Canadian practice session. But otherwise the graph plotted of his performance barely wavered from a sky-scraping level. Surely only churls and contrarians will now be maintaining that in Seb we do not have a rounded and close to complete F1 performer. And not for the first time we're left to consider that at his age there likely is to be improvement yet to come. How can it be that a driver now with ten years in F1, pushing four years since his first win and two years in unequivocally the best car - bagging plenty of poles and wins in that time - can still provide such a mixed message of where he fits in the scheme of things? 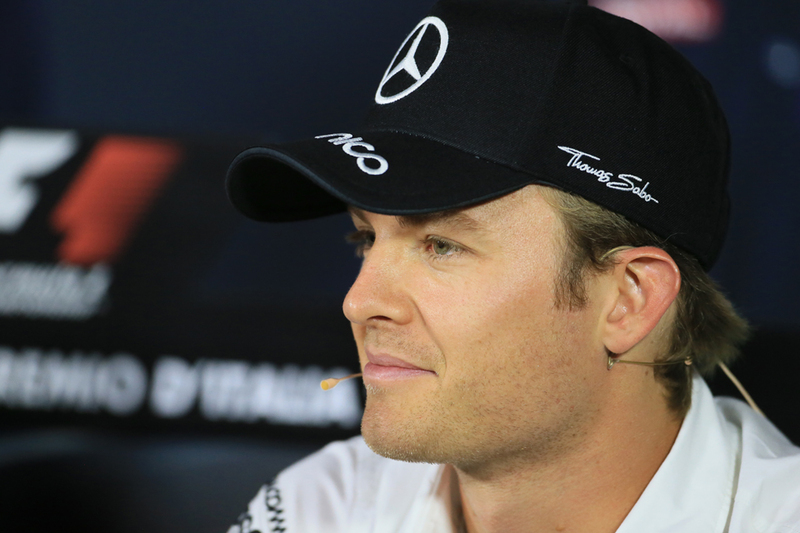 It goes to show the extent that Nico Rosberg is an enigma, and always has been. And this campaign all-in did the near-impossible of somehow managing to obfuscate the matter yet more. His season was one of peaks and valleys, and to an extraordinary level even by his own standards. At points he looked bewildered; perhaps broken. Occasionally even being a breath away from accepting his fate as the 'other driver' in the mighty Merc squad. There were punishing mistakes at vital times too - showing imprudence at least in the dying laps of Hungary's race by colliding with Daniel Ricciardo and picking up a puncture when he looked all set to make a bit points gain on his team mate Lewis Hamilton, as well as of course the 'gust of wind' that lost him the win, and the confirmation of the championship, to Lewis late in Austin, which spoiled what had been a mighty drive. Yet with this at other times the peaks have been about as towering as we've seen from him. In the second quarter of the year three wins in four (two fine; one lucky) suggested he might just make a game of it. That was lost, but it was nothing on his run of form as the European season gave way to the autumn flayaways when he all of a sudden beat Lewis consistently. With this, and while it seemed impossible for much of this year, he therefore ends the campaign looking more of a potent adversary to his stable mate than he has ever. Including in 2014 when of course he took the championship to the wire. Nico also was unfortunate that some bad luck held back the start of his late flow of points - a throttle problem stopped him while leading in Russia while 15 points were taken by an engine failure in Monza (indeed that weekend he had been impeded generally by having to use an old unit). Austin we know about. It may strike as a surprise that if you remove these he'd have topped the final drivers' table - of course reality isn't necessarily that simple but it shows at least that the year easily could have had rather a different complexion. Everyone too has their own explanation for his upturn. Some observers reckon he's had a eureka moment with braking and turn-in. Alex Wurz thought it was yet simpler and he's learnt finally to focus on his own job and not on what his team mate's up to. But, Nico's critics argue, it could all reflect instead someone who can only perform when the pressure is off. They point to how 2014 went as evidence. We won't be able to sample the proof of this pudding until Melbourne in March next year at the earliest. But as outlined you feel it could, just could, go either way. And that says a lot for where Nico Rosberg has got himself to. Some thought there was something of Sebastian Vettel in 2014 of Daniel Ricciardo's campaign in 2015. There were parallels: a difficult season in disappointing car (with an especially disappointing engine), coming after one where it seemed nothing would go wrong for him. And a whipper-snapper young team mate giving him bother. But in Ricciardo's defence this campaign never quite hit the lows of the preceding one of his former team mate. And contained rather a few more highs. The shift mentioned since 2014 wasn't always easy though. In the early part of this season he seemed guilty of occasional overreaching, manifested in small errors in qualifying and races. 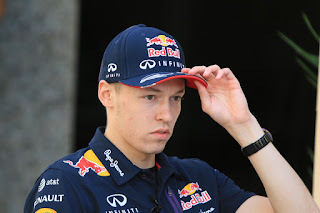 And his campaign bottomed out in Canada, where not only was he nowhere near his team mate Daniil Kvyat his Red Bull bosses also didn't appreciate how frank he was in front of the media about the squad being in his view rather lost on development. But things picked up for him from around mid-season, partly perhaps as the team started finally to make steps with the chassis, but partly perhaps too that Ricciardo learned to accept the car's shortcomings and drive accordingly. And he really stepped up in Hungary where he put in a Gilles Villeneuve-esque fighting and fast performance, which might have been rewarded with a win with more luck. Then in Belgium (let down by his car), Italy (fighting through the field after starting at the back) and Singapore (chasing victor Vettel in qualifying and the race for all he was worth) Ricciardo was superb every time, as he was in Russia (let down by his car again) and especially so in the wet early stages in Austin where he looked to have the thing in the palm of his hand, and again could have won had the track not dried. Perhaps it was Austin's qualifying session however that gave us the year's sharpest reminder of Ricciardo's star quality, when in terrible conditions only he got near to the Mercedes' pace, and only he with Hamilton had the ability and confidence to find this pace immediately despite the narrow margins for error. He ended the year with fewer points than Kvyat but we've mentioned that he was denied sizeable hauls by technical failures more than once. Being 12-7 up in qualifying you could argue is the better indication of the lay of the land. And it can be said that on the rare occasions that the Red Bull allowed him to fight Ricciardo seized the opportunities. In Monaco, Hungary, Singapore and Russia one could barely see the join with the guy that won so many admirers in 2014 - full of pace, combativeness and usually impeccable judgement. Early 2016 may also be frustrating, but if Red Bull can ever find a power unit to do the car even partial justice then in the same stroke it'll ensure that Daniel Ricciardo's talent is done absolute justice. F1 can be a strange thing. We know that Valtteri Bottas is quick; smart (his Williams team speaks glowingly about his technical feedback); lets everything bounce off him in and out of the car; as well as is possessed with a sympathetic touch on the fragile Pirelli tyres. And it was hard to point to much tangible that he did wrong in 2015. But somehow even with all of this his star waned a little. Perhaps something of the fire was missing this time - the stunning overtakes and attacking drives that we admired so much in 2014 when he announced himself as a breakthrough top-level contender were not really replicated. And what really seemed to count against him was the suspicion that if he is all that he should have been putting away team mate Felipe Massa more decisively than he was. 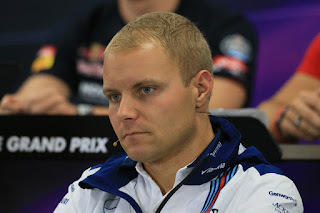 In the early part of the year it was ill-concealed that Ferrari was interested in getting Bottas's signature on a contract for 2016, yet a combination of the two factors mentioned, plus that Williams was demanding bucks to release him, dissuaded the Scuderia seemingly. Come mid year when the decision was being finalised Bottas indeed trailed Massa 6-4 in the qualifying match-up plus was only slightly ahead - 77 to 74 - on points. Or was it, as some suspected, that the Ferrari stuff was distracting him? That once it had been put to bed Bottas improved on Saturdays and Sundays, relative to Massa at least, suggested it might have been. And throughout the campaign when Bottas was good he was very good - in Bahrain he held off Vettel in that imperturbable way of his; in Spain he was excellent again in splitting the superior Ferraris; in Canada he bagged his first podium of the year, pushing hard and accepting the fortune that came his way; in Russia he was strong and unlucky to be removed by Kimi Raikkonen on the last lap; in Mexico he bagged another podium albeit helped by some luck with a safety car appearance. Yet there were also weekends you'd hardly know he was there, such as Monaco, and others where he might have shown a little more fight around the Ferraris, Mercedes and others, such as Japan. He was usually fighting a losing battle there of course, plus there were weekends where the Williams pace was oddly lacking, but did he accept as much too readily? But even this early in his career and with his achievements the feeling lingers that he needs to find a little more of 2014 in 2016. Bottas already knows that there are great expectations of him. It may sound slightly silly to say but perhaps the most remarkable thing about Fernando Alonso's return year at McLaren is that the relationship has survived it with so little damage. The rapprochement long considered unthinkable, least of all with Ron Dennis on the scene, was happening and many watched from between their fingers. The scepticism was vindicated it seemed right away when in about Alonso's first act of the season he returned from concussion sustained in a testing accident to flat contradict the team's public version of events. Add in a desperately disappointing and hideously unreliable Honda power unit and...well you work out the rest. His frustration shown in radio barbs in Canada and Japan, as well as him pushing his car to the pits in Hungary's qualifying plus catching some rays on Brazil's Saturday (both times after the car had let him down again) will for many be the summing-up of his campaign. 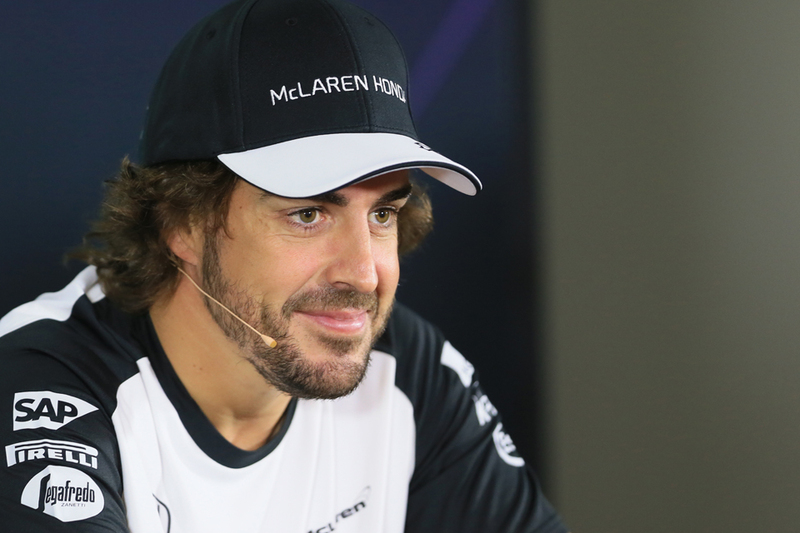 It's a pity, as most of the time Alonso was in Nigel Roebuck's words in fact "a soul of patience". It's also a pity as it was hard to fault what he did behind the wheel too. Much of what has made him such an revered competitor remained on show: the ability to hustle a reluctant car; the scarcely credible vaults of position on lap one seen in Spa and elsewhere; the race craft; the relentless pace. Trackside observers commented too that Alonso even amid his woe was showing visibly more commitment out there than others. For the lion's share of the time he was McLaren race day pace-setter. Like Ricciardo he was ill-served by his points total compared with his team mate, but in an unreliable machine only capable of scoring occasionally that's a rather volatile measure. Plus he lost likely scores to technical failures in Spain, Monaco, Singapore and Austin. Towards the season's end he said that he'd been in "economy mode" this campaign and only in Japan's qualifying and Austin's race had he performed his best. It seemed he was being harsh on himself though, and at least one pointed out we're more likely talking excellent-minus-one rather than poor. Still a legitimate criticism is that you would have expected him to put Jenson Button away in qualifying more emphatically than he did (though unreliability and constant grid penalties muddied that particular water), with the score there only 9-8 in his favour. While towards the year's end in one or two races he did give an outward impression of giving up, such as in Brazil. Finishing his year with a shut-your-eyes lunge at Abu Dhabi's turn one wasn't smart either. But for all that the campaign felt desperate salvation may be deceptively close to hand. All that is required is a power unit to get Fernando Alonso at least within range of the front, then you suspect he'd be more than willing to try to make up the rest. If not, suggestions linger that he may even be minded to take 2016 off. Over to Honda. 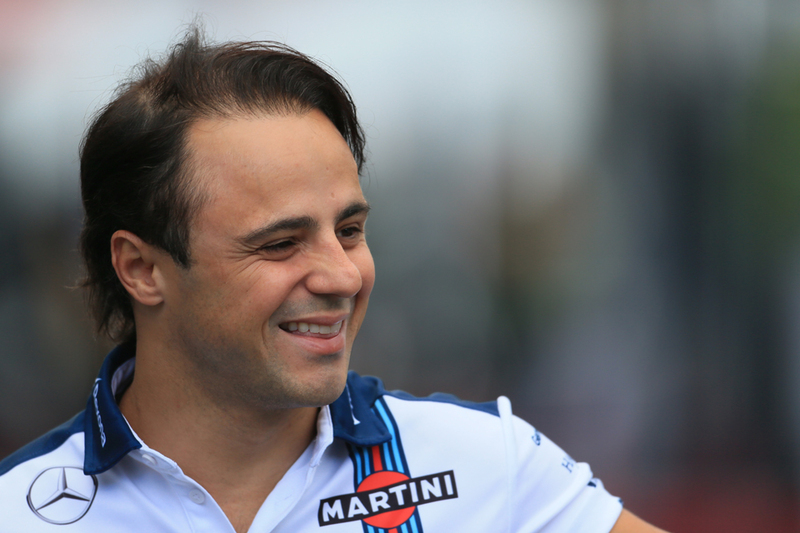 We are all aware of the conundrum that surrounds Felipe Massa. We have the heights of his late 2008 performances, especially his brilliant Singapore qualifying lap. But also that this sort of thing hasn't been extracted to its full extent since. Not with consistency anyway. And seven years on we still like to wrestle with the question of how exactly do you extract it? Without disrespect intended a Massa even at his best isn't quite one of the very top drawer, he's never quite had the consistency nor artistry for that. Minor fumbles of the ball haven't always been all that far away either. But he's nearly as good. And can do a team a very good turn. Williams definitely got a very good turn in 2015. He continued his improvement witnessed particularly in the latter part of last year at Williams, and was thankfully shorn of the run of accidents that rather spoiled the first half of that campaign after joining the Grove team from Ferrari. He also exceeded expectations by going toe-to-toe with the highly-rated Valtteri Bottas both on pace and points; he ended the season with only 15 points fewer than the Finn plus the qualifying match-up was respectable, indeed he led it at the year's mid point. Criticisms of him are hard to make also, errors were relatively few (he did underperform in Hungary but had a good excuse) though perhaps, almost imperceptibly, his performances tailed off a little in the year's latter part. Maybe the slightly thankless task in a Williams this year - no hope against the Mercedes and Ferrari but usually able to beat the rest - drew the sting from him a little. The Williams also was disappointing on pace in a few late year rounds. But equally Massa can point at excellent races too, particularly in China, Austria, Canada, Britain and Italy. Rob Smedley, a man who should know, said that in his view this season we've seen Massa back at last to his 2008 vintage. Perhaps it all also provided our most compelling clue of how Massa's best form is unlocked. He has been visibly more content in the relaxed Williams environment than he was at fraught Ferrari in the final seasons there, and it suggests a man who when he is happy more generally drives at his best too. Seems obvious really. Another case of F1's more complex questions having simple solutions. Self-flagellation is quite the thing for those in and around F1 right now. 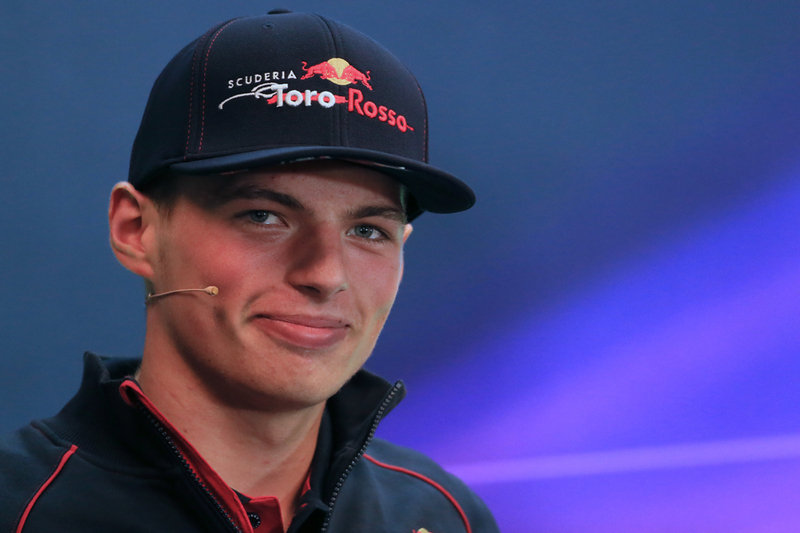 And there was plenty of it done on the sport's behalf when just after last year's summer break Toro Rosso confirmed that Max Verstappen was to get a race seat for 2015. One only 17 years old, without a driving licence and with just one season in car racing. We thought F1 had found a trapdoor via which to descend to a new level of absurdity. Yet in the event probably not since Lewis Hamilton's 2007 outstanding debut has an F1 driver made such a positive and scintillating impression in their freshman campaign. Those big on self-flagellation don't always get it right. He was fast. He displayed astonishing confidence and verve. Never better seen than him setting the second fastest time of anyone in his first Monaco practice, as in the first time he'd driven anything in anger around the Principality. Then there are the overtakes. Often brave; often from far back. But almost never untidy; nor with so much as a minor lock-up. There were almost too many to mention, and culminated in Brazil when he alone that day seemed to not get the 'you can't pass' memo. In an under-rated skill he was versatile too with many strong stints on unfavoured tyre compounds. He even seemed to take the sport's technical aspect in his stride. Out of the car too Max looked just the ticket. Not the tiniest trace of a gauche and uncertain youth, instead he was utterly unfazed right from his Thursday press conference in Melbourne. It was needed too as he faced the inevitable attempt in F1 to bring bright young talent down a peg or two after his collision with Romain Grosjean in Monaco. His response to those seeking (perhaps unfairly) to round on him could not have been more resolute - there clearly is steel with the talent. There were manifestations of his inexperience, of course there were. He didn't always prepare his car well for a qualifying lap (contributing to him losing out to his team mate Carlos Sainz in the qualifying match-up), there was some weekend to weekend inconsistency too. Both of these were more common early in the season. There also were some mistakes such as him spinning off in Silverstone as well as maddening indiscretions like ignoring yellows in Abu Dhabi and speeding under the safety car in Hungary. Surely he will learn with these though. Even this early it is difficult to see how he won't win a world championship, nor indeed how he won't be at a world championship winning team before all that long. He has plenty of time of course for both. But in all probability he'll not need it. This sport's capacity for providing parallels never desists. There wasn't just one F1 pilot who after years of dividing opinion, and displaying curious performance deviation, found a whole new level this season in both pace and consistency, particularly in the campaign's latter part. 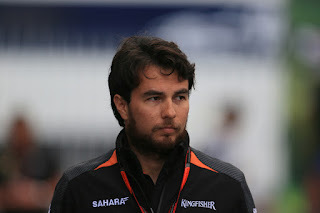 Yes, with Nico Rosberg we also give you Sergio Perez. We always knew that Perez had an extraordinary ability in tyre longevity, as well as is feisty in on-track battle both in attack and defence. On certain occasions those have come together to give him fantastic results, not least the four podium finishes he'd totalled prior to this campaign. But as intimated there were doubts. What about those other days when you'd hardly know he was there? More generally was his raw pace really that good? That he came up short in his opportunity knocks year at McLaren seemed to answer these and not in Checo's favour. Landing at Force India last year didn't move the matter on much though he did improve as the season progressed, at least relative to his team mate Nico Hulkenberg. And in 2015 he improved at a sharper trajectory. There were bumps along the way. He didn't start the season well at all, indeed he drove like an amateur in Australia then managed to collide with Romain Grojsean in Malaysia. In the mid part of the year too when Hulk got a wind from his Le Mans triumph Checo couldn't stay with him. But even in the early part of the year (in another parallel with Rosberg) there was a sprinkling of excellent performances such as those in Bahrain, Canada and in particular Monaco. Things as mentioned tailed off for him a little for a time but after the summer break suddenly something clicked with the B spec Force India. From then on all of his drives aside from that in Brazil were strong, and he established a pattern of edging Hulkenberg in qualifying and then leaving him in races. His peaks were in Russia where a Perez special of eking out a set of tyres over a scarcely credible distance helped him to yet another podium appearance while in Abu Dhabi he did the maximum in both qualifying and the race. Just as with Rosberg it's not entirely clear what caused the upturn either. Perhaps circumstances have aligned in favour of his skills. Perhaps he indeed had a eureka moment. Perez himself reckons he's simply driving better than ever. His team too believes it is as straightforward as his confidence building up over time, particularly on a qualifying lap. Whatever it is, he should keep doing it. Daniil Kvyat this season was in many ways on a hiding to nothing. While he was getting a much sought after step-up to the Red Bull big team, it was in a car much further from the pace than anticipated, against a strong and popular stable mate and to make matters worse a 17 year-old media darling was winning several plaudits in the junior team. At a few points it was a struggle, and some even when plotting imminent driver switches spoke as if the young Russian was already destined for the rubbish chute. 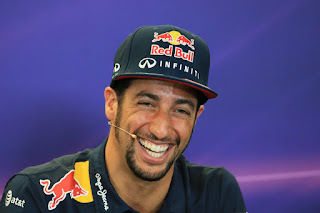 Yet at the end of it all he accumulated 95 points, three more than his rated team mate Daniel Ricciardo. It suggests therefore that Kvyat must have been doing something right. It certainly didn't start well. Literally. He crunched his team's only front wing on his first testing lap then had to lap without one - the F1 equivalent of doing PE in your underwear. And for a time after that Kvyat couldn't catch a break, when he really needed as much time in the cockpit as he could get. Pace, results and running were hard to come by early in the year - a lot of it wasn't his fault but some of it was. Almost inevitably after the Spanish round, another disappointing one, the ubiquitous Helmut Marko fired a very public warning shot his way. But few other than Kvyat would have been as suitably equipped to respond to the challenge. A lot of the reason he got his F1 gig in the first place was that his analytical and industrious capacities set him apart, and they served him well in this situation. In addition he is possessed with an extraordinary steel and assurance, and one that never seems contrived nor even unpleasant. Apparently too he has an aggressive driving style that needs all underneath him to click to get the best from it. And right on time things did click it seemed, starting with a good drive to fourth in Monaco. He then followed it up in Canada by leaving Ricciardo far behind. Matters were better for him from then on, and his best showings were his charging drive in Belgium as well as in Mexico where he showed Ricciardo and everyone else not in a Merc a clean pair of heels, and only missed out on P3 due to a bad rap from the late safety car showing. He had the consolation that Christian Horner thought it was his best drive of the year. His best result, second place, arrived in Hungary but he admitted that owed a lot to luck. Even with the success things continued to be a little up and down for him indeed. A few times he didn't really get near Ricciardo and before the year was out he also squeezed in two big crashes - in Japan's qualifying and Austin's race - that looked due to little other than individual errors. But by then it was clear that so long as Red Bull hung around he had done enough to get another go next season. Yet given everything about his circumstances - the infamously ruthless Red Bull collective and its exacting standards, as well as Max Verstappen being fully on his case - even this early in his F1 time you suspect it is critical that he shows his best more consistently in 2016. Alonso and not Button? what are you, nuts? It would appear that you haven't done me the decency of reading my reasoning in the article before criticising the selection. As in the section on Alonso I outline specifically why he's there and implicitly why he's ahead of Button ('For the lion's share of the time he was McLaren race day pace-setter'). And if you're basing your argument on Button having more points than Alonso this year, I outline the counter argument to that too ('in an unreliable machine only capable of scoring occasionally that's a rather volatile measure. Plus he lost likely scores to technical failures...'). Button was on top of Alonso for a few late season rounds too, but I'm basing this on the whole season. If you don't agree with these then fine (it's entirely subjective after all), but please engage in the points and tell me why you disagree. If your contention is that Button should be in the top 10, then yes you'd certainly have a point. I found it a very big challenge this year to whittle the drivers down to ten, and Grosjean, Sainz and Button were left out with a heavy heart.